 I am building a 6mm DTI for some medium range fun and have narrowed the list of scopes down to the Nikon FX1000 4-16x50 MOA illuminated or the Vortex PST Gen II 3-15x44. I already have a Vortex 3-15x44 PST Gen II sitting on top of my 6mm Predator build and, to my eyes, the optics are extremely clear. Since I have never had a chance to look through a Nikon FX1000 scope, I was wondering if you guys could share your opinions about how the optical clarity stacks up against the PST Gen II's. "Face Piles of Trials With Smiles"
 Almost forgot, here is a pic of the 6mm Predator with the Vortex 3-15x44 Gen II: fantastic scope..
From what I have seen, PST Gen 2 is a better scope optically. 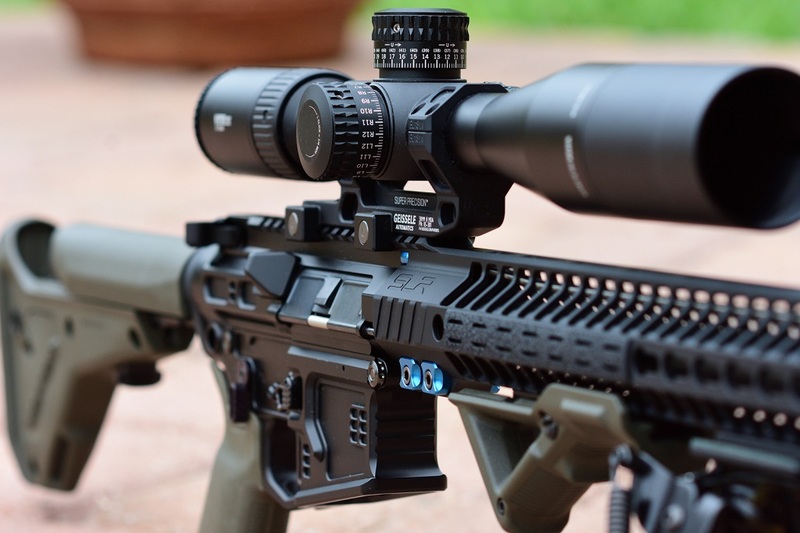 Nice looking rifle,What scope mount are you using? The mount is a Geissele and in my opinion way to darned expensive to purchase another one. Don't get me wrong as they are a nice mount but there are other much less expensive mounts that function just as well. Thanks Bro.What is your opinion on the vortex Use Gen II.  In all honesty, it makes me wonder why I am considering getting a Nikon FX1000. To my eyes, the glass is some of the clearest I have ever looked through. In fact, I have two other Gen I PST's and was completely blown away by the optical quality on the 3-15 Gen II. I had the opportunity to hold this scope up next to a Nightforce NXS and would choose the Viper over the Nightforce…..but that is me. The scope does have a little weight but it is built extremely well, has nice positive and audible clicks and tracks very well. Nice set up and nice pictures as well. Stick with the Vortex. Indeed, I do believe you are correct in stating I should stick with the Vortex which is a known quality.